PITTSBORO, N.C. -- The 2018 Flatout Gaskets Nitrous Wars is one for the history books. Although a quick look at the 2018 season Pro Nitrous pole setters shows incredible parity in the class, all but one of those drivers relies on Musi Racing Engines power. When it was all said and done after Virginia, a Musi driver was on top of the pack seven out of eight events, with Jay Cox giving Buck Racing Engines one lone #1 qualifier award at the second tour stop. "We are incredibly grateful to Flatout Gaskets for their support of this program," stated PDRA Director of Marketing, Will Smith. "Mark is a stand-up guy who has always gone above and beyond to support his customers and give back to racers. 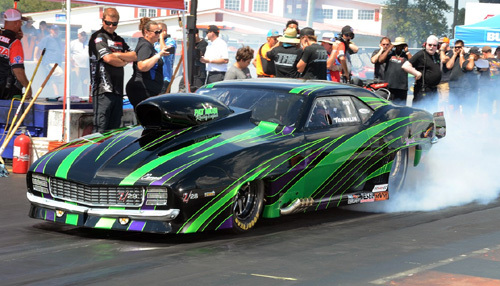 The Flatout Gaskets Nitrous Wars was a lot of fun to watch this year. 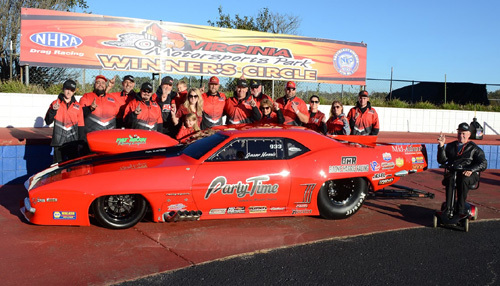 Congratulations to Tommy Franklin and Musi Racing Engines!"